How will it be stored? How much will that storage cost compare to the cost of not having this evidence? What is the stance police departments will take on data protection and how will society respond to being further surveilled and having that surveillance stored? This large-scale data collection has huge storage requirements, an example, pre BWC adoption: “In December 2012, IDC and EMC estimated the size of the digital universe (that is, all the digital data created, replicated and consumed in that year) to be 2,837 exabytes (EB) and forecast this to grow to 40,000EB by 2020 — a doubling time of roughly two years. One exabyte equals a thousand petabytes (PB), or a million terabytes (TB), or a billion gigabytes (GB). So by 2020, according to IDC and EMC, the digital universe will amount to over 5,200GB per person on the planet”. (Ref. http://www.zdnet.com/article/storage-in-2014-an-overview/) This is likely to increase as the BWC option becomes more widespread across the globe. Storage is a balance between the projected cost of data growth versus the projected efficiency of storage technology. If you take Moore’s law, now applicable to storage since the introduction of SSDs (Solid State Drives), and compare it to the projected data generation, we arrive at a simple sum. Total projected data by 2020 multiplied by the cost per GB divided by Moore’s law (twice the efficiency every two years) and you will equal the rough cost of future storage for the projected total data created. 40,000EB (42,949,672,960,000 GB) x 0.3 (current cost per GB) = 12,884,901,888,000 = 1.288^13 USD or (EB = 2^60 bytes) the cost per EB is $322,122,547 USD today and $56,943,759 USD in five years in total and at 5,200 GB per person it will cost $275 USD per person worldwide. With most of the top ten data centers located in America (7) and Europe (1) we can see that the majority of that cost will be borne by the west. With these large-scale logistic requirements, costs could pressure low budget departments into video compression and resolution reduction to save resources, hurting evidence. For example as a rule of thumb if you wish to enhance a video of a number plate you would require 12-15 pixels to reach an actionable result and 60 pixels for facial recognition. Most of the cases referred to us by law enforcement often succumb to this issue and there is simply not enough raw data remaining to make any identification possible. Policy could provide a few solutions to this issue such as allowing a technician to select what data to save and how long to save it for or via a tag system that employs the use of tablets that let officers tag data in the field (triage), but these solutions are subject to human error. Up until a few months ago a cloud-based storage service was not available to government agencies due to not meeting FBI requirements in terms of security but this option exists today and may be an option in the future by producing an autonomous upload from device to the cloud thus securing the raw data without relying on officers to manually upload their data which again would leave room for human error. Most departments operate on a policy of officer discretion, “when in doubt, record”. While legislation differs from state to state and country to country, the trend suggests that BWC footage will not be subject to open/public record laws showing the conflict between privacy and transparency. There is a concern that by being unavailable to the public that police departments will choose to only release footage that shows them in a positive light while police say that this step needs to be taken to protect witnesses and victims of crime. The policy that police departments and state legislators take will go some way to reveal the intent behind the deployment of these devices. Is the focus of their policy the appeasement of the public due to the recent instances of lethal force and to foster better relations with the public? Or is the focus to use the data coming from these devices as evidence? If the focus is on evidence usable in court, then I would argue that it is necessary to use a third-party program like our Amped FIVE to stabilize footage and correct environmental distortions. 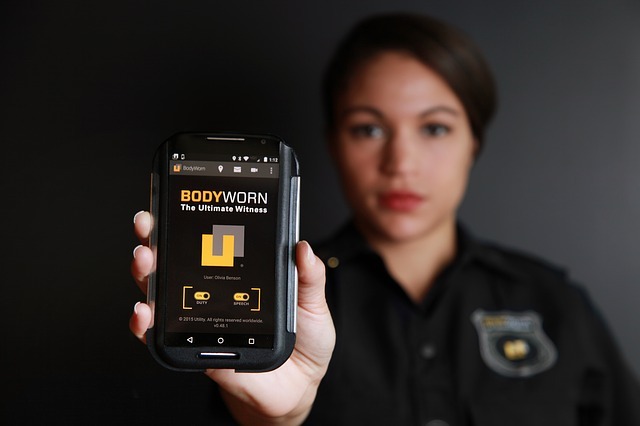 Amped FIVE also provides a report based on the scientific method that makes evidence originating from body-worn cameras actionable. This entry was posted in Announcements, Cases, FIVE on July 2, 2015 by Matthew Cook.